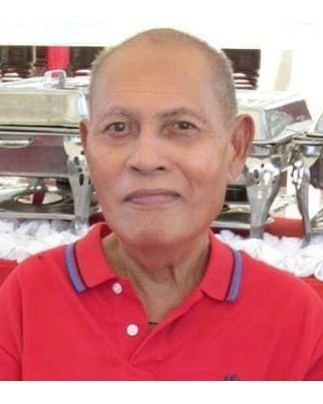 Remberto Edar Sr. passed away peacefully at the age of 82 years old on Thursday March 21, 2019 at Lone Tree Convalescent Hospital in Antioch California. Remberto was born in the Philippines to the late Epitacio and Teodora Padua Edar on February 4, 1937. In 1964, he married Felma Macapaz and became a wonderful father to five children. He was well respected as a mining engineer for the Philippine Iron Mines and as a provincial director for the Philippine Department of Environment and Natural Resources. He was an active member of the church and the community, implementing programs that fed the less fortunate. Remberto is survived by his wife Felma, his children, Gay, Genalyn and husband Blandie, Glen and husband Alan, Boyet and wife Leah, and Gwen and husband Jojo, his two sisters Sonia and Herminia, his ten grandchildren Trisha, Mae, Iya, Bryll, Thalia, Ian, Martina, AJ, John Rembert, and Shae, and many nieces and nephews.